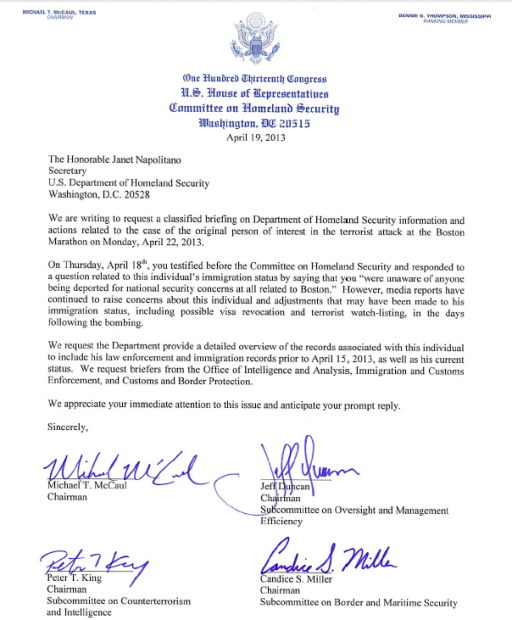 The Lighthouse | Boston Bombings Follow up – What Obama is really hiding? Note: Unfortunately, I was unable to report some of these very interesting concepts when I had originally wanted to, so will now combine them here, separated in sections for ease of reading. All are Lighthouse exclusive revelations or angles not reported elsewhere. Of course best read all through. At the Lighthouse, while the rest of the media was becoming ever more confident that the Boston Marathon bombings had been carried out by native white Americans (“Christian right wing extremists” in media lexicon), we were among the first if not the first to point out that indeed it was an act of Islamic terror. We also found Tamerlan’s (the elder of the two Tsarnaev brothers) YouTube account and pointed out its Islamist and militant videos and links. By now this is all common knowledge. As was written in that original article, details were still very sketchy and an update from the Lighthouse Keeper would be forthcoming when the picture was clearer. And here it is. As it stands now, it seems clear that these attacks were inspired by Islamic and Jihadist aspirations, but (at least as is being reported) that there was no direct overseas terror network connection. Interestingly, even in those very early minutes, in my original article, I put forth the likely possibility that this was a “Hybrid” attack. A combination of home grown disillusioned-American type of attack that have become all too frequent, with Jihadist terrorism. More on that shortly, but as I explained, the media and the left were first hoping to find non-Muslim natural born American citizens behind the attack. When this proved futile, they then hoped that though Chechen (one brother apparently was born in Kyrgyzstan another in Dagestan (both Muslim regions), and both are ethnic Chechens), they would find them highly secular and without connections to Wahhabism, Salfists, or Shia Islam. The people of northern Dagestan were traditionally Suni Sufi or Hanafi Muslims (as opposed to Salafis), and not very religious, fundamental or radical. The situation has changed of late, really starting with Shamil Basayev who battled against the Russians (both in real warfare and through terrorist activities) throughout the 90’s and up to 2006 when he was killed. The colorful Basayev, who lost a leg to a land mine and was killed by another, brought with him many of the infamous “foreign fighters” that have brought havoc wherever they land. These Salafists and radical Wahhabi Muslims, bring endless bloodshed in their quest for Sharia law wherever they set foot. Most recently, they are in large part behind the uprisings in North Africa, Egypt, Yemen and Syria against more secular governments and unfortunately with Western as well as Qatari backing, as the Lighthouse often reports on. The northern Caucasuses are ethnically incredibly complex and divided places. Basayev’s struggle against the Russians and fierce brand of Islam was the only thing that could unite the various populations. Dagestan has little uniting it as an entity, today and historically, other than being Muslim (in largely Christian Russia). Despite naming their eldest son Tamerlan (reminiscent of Tamerlane or Timur the lame who called himself the ‘Sword of Islam” and brought Turko-Mongol hordes to devastate Chechnya), it seems that the Tsarnaev family was heavily Russafied, and in the more Avar and Chechen secular tradition of the region. Avars were originally pagan and then Christian and some remained so despite persecution and repression into the 16th century. By the time Russia gained control of the Avar homeland in the late 1800’s there were no Christians left in Dagestan. However, traditional pagan Chechens actually survived in some numbers until the 19th century, when they too were engulfed by Islam. Interviews with the brothers’ uncle, Ruslan Tsarni (who rightly won admiration as he humbly fended off a pack of shameless journalists in a very difficult situation) shows that this side of the family does not seem fundamental or radical in their views. Something that has not been picked up by the media however is that presumably, Tsarnaev and Tsarni ought to be the same last name. Clearly, Tsarnaev is a more Chechen and Slavic version of the name, while Tsarni could simply be an attempt by the uncle to sound less Chechen or Russian. His first name Ruslan, is a Russian/Slavic name without any Turkish or Muslim overtones. However, Tsarni could also (though less likely) be an Arabized version of Tasarnaev; an attempt to “de-Slavify” the last name. More likely however, it was no more than an attempt by Ruslan to “fit in” better in America (or in Muslim regions like Kazakhstan and other regions where his work has reportedly taken him). In any event, it is an interesting question that has not been pursued. Though Tsarnaev’s wife Zubeidat (mother of the two bombers) however is another story, and either her side of the family is far more radical or she alone became so with time. As the string of continuous lies that the Obama administration has told on the issue unravels, it has now been revealed that both Zubeidat and her son Tamerlan (the older of the two bombers) had been on terrorist watch-lists. The FBI and the CIA had independently investigated them after receiving two separate warnings about them from Russian authorities. The media’s hopes were again dashed, it is clear that the Tsarnaev brothers were heavily influenced, and driven by Islam to their murderous deeds. The surviving suspect, the younger Dhokhar has reportedly already told investigators that indeed, Islam was their motivation. In addition, there is an undoubtedly American aspect at play here. And this, the mainstream media and popular culture can add to their already lengthy wall of shame; the government has reported the brothers were specifically among other things, upset about the Iraq and Afghan wars (ironically one already ended and the other is winding down). It would be more correct that they were upset by the reporting on those two wars, since they likely knew little or nothing (factual) about either. It is interesting to note that to date, Muslims in the US have radicalized to a significantly lesser degree than those in the UK, which pose a far greater threat to that country (in terms of terrorist attacks) then foreign terrorists. The main reason for this to put it bluntly, thus far has been American culture’s greater conservatism. American culture during the past decade has been more patriotic, free, capitalist and proud than its UK counterpart. One must remember that immigrants (most often) come to a new country looking for a better life – usually more freedom and opportunities… not because they heard it was a more socialist or “multicultural” country. When they arrive, they are often a bit disoriented, and in awe of what they see. The fears and dangers they fled from non-existent, and the complaints the locals have would be bad jokes back home (ie “mom, I’m starving!”). If the country supports this image, as the US tends or tended to, it largely remains… in the US one was constantly reminded of being present in a land of opportunities; of freedom and possibilities. That same freedom by the way, would deem the constant European debates about legislation banning the Burka (or other female head coverings) mute. In conservative US, the state does not ban what you wear, even if it is Muslim. The immigrant is grateful for his new home, does his best, and often wishes to “fit in”. A conservative America is the famous “melting pot” – for good or bad. Leftism, multiculturalism, new age academics, extreme political correctness, and modern liberalism of course do quite another thing… the very same immigrant cultures that came to the country looking for a better life are lifted to a quasi-holy status, and the native (usually “white Christian male”) culture is blamed for all ills, domestic and foreign, known to man. The immigrant in this culture grows hateful and arrogant, he is led to believe he is entitled to all sorts of things from the government (who stole them in the first place) which are never quite enough. He holds his host culture to be at the same time weak (because it is), and unfairly rich and powerful (which he wishes to change). It is hard to imagine any Muslim NOT being angered by what they heard and saw in American reporting of the wars. Let the leftists ponder on that. But back to our story, with liberal help or not, the Tsarnaev brothers were clearly inspired by jihadism. This is something the Lighthouse Keeper knew 3 seconds after the name of the first suspect was released, but it took the rest of the media a week or so to catch up, unable to find an escape route; fine. But the media was not done yet, and here they succeeded in taking the GOP and the American right for a ride. Having lost chance A and chance B, they lunged at chance C – that the brothers acted alone and without any guidance or support from overseas terrorist networks. The right has stupidly fallen into this trap as it tries to argue (as of yet often without evidence) that this is clearly wrong. The end result of this silly debate is that if somehow, the brothers acted alone and of their own volition, Islam has nothing to do with it.. there was no Muslim terror. This position is as absurd as it is sad that a whole nation has fallen for it. Even if the original inspiration was their own, (as opposed to being directed from abroad from the beginning), a person inspired by and connected with the various radical Internet clerics, planning to carry out an attack like this is likely to reach out to one or more of them. They would want the clerics to recognize and be proud of their actions. They in turn could provide some support, technical, financial and/or mere guidance. We saw similar situations inspired by the American-born and English speaking terrorist Imam in Yemen, Anwar al-Awlaki (eventually killed by the US in Sept 2011). Add to this statement (made before any evidence had come out) Russian terrorism warnings on the family, US terror watch-lists, and a recent 6 month trip to Russian regions with ongoing Islamic insurgencies by the elder brother Tamerlane, and it becomes even more likely that there was some sort of connection, whether simply spiritual or tactical. But this hardly matters to the point at hand. In Israel, the suicide bombers that we are unfortunately all too accustomed to, rarely are truly directly inspired by Islam. The leaders that send them to their deaths may be (if not simply by greed and politics) , and so may be the millions that praise them, but they themselves often are driven by much more practical and macabre realities. In the most direct sense, terrorist attacks by terror groups are conducted by people who were commanded to follow the organization’s orders. In the majority of cases, the would-be suicide bombers are threatened, brainwashed, intimidated and drugged by the terrorist networks (Hamas, Fatah, etc) in order to coerce them to take part in the murderous terrorist attacks. On the other hand they are offered handsome incentives such as financial security for their families if they comply. Thus in such cases, for the actual participants at least, terrorist attacks can be argued are less inspired by religious fervor than by a political group that bends individuals to their will. When a lone Muslim (or pair of), inspired by Islam itself, lashes out in terror without any of the above, it is quite amusing to see all of America convincing itself that this is proof of Islam’s irrelevancy to the issue. If two young boys, can read and hear what Muslim clerics are preaching around the world on the Internet, and be inspired to the murder of innocent civilians, without coercion, orders, support or incentives from anyone it is lunacy to then conclude Islamic terror is obviously not at work. On the contrary, it speaks volumes of how terrifying what these Imams and clerics espouse really is. Having squared away all of this, let us finally get the meat and potatoes. Quite interestingly, from the beginning of the investigation some astute commentators (such as Glenn Beck), noted that something was amiss with the government’s story. A Saudi national, who (before the Tsarnaev brothers had been identified) originally was reported as a suspect arrested and to be arraigned, quickly became simply a person of interest, then merely a witness, a victim, and then no one at all. He then simply seemed to have vanished. I will attempt to briefly summarize what is known about this complex story, though much more can be found with Glenn Beck and others. As is to be expected, the US media largely simply ignored this story. Images of the bombing showed a Saudi national (remember 15 out of the 19 September 11 hijackers were Saudis, from the homeland of Wahhabism running away after the bombing. Apparently he was later found at the Hospital and questioned by Federal Agents. Initially, some reports called him a suspect and arrested the very same Monday of the bombing, then he simply disappeared from the limelight, and the government denied all sorts of things about him, often contradicting itself. Once the headlines shifted to the Tsarnaev brothers, he was all but forgotten. This being strange, some investigated further, including GOP congressmen. Some disturbing facts were found. The Saudi national had an 212 3B (“Terrorist Activities”) NCTC Event File created on Tuesday April 16th -time stamped at 4:00 PM and was set to be deported. His Boston apartment had been searched and he was questioned for hours (along with other friends or acquaintances). Secretary of State Kerry meets with the Saudis on Tuesday, and the administration seems to start backtracking. Incredibly, the next day Obama is reported to have a “chance meeting” with Saudi Foreign Minister Saud Al-Faisal and says it was about Syria. Quite disturbingly, the event file was altered (or an attempt at deletion occurred) on Wednesday – time stamp 5:35. There are only two sources that can reportedly do this, the director of the NCTC himself, after getting approval from each Federal Agency involved, or an order from the highest levels of the State Department (in essence the Obama administration). Next it was reported that the Saudi national may in fact not be deported. Homeland Security Secretary Janet Napolitano refused to answer questions about the suspect when confronted by Rep. Jeff Duncan (R-SC). Duncan claimed to be in possession of the original event file, and together with Representatives Miller, King and McCaul sent a letter (below) demanding answers. The government then said that a different Saudi national is in custody, but is “in no way” connected to the bombings. As congressman and reporters tried to get clarity on the issue, there was more contradicting statements. It was revealed that the individual had been given a student Visa without being properly vetted (though it did not appear he was attending school, and thus was violating his student visa by being in Boston). Incredibly, it was then revealed that the suspect was on a terrorist watchlist (apparently like Tamerlane Tsarnaev and his mom had been – lot of good they do). The government first denied that he had been on a terrorist watch list, and then backtracked and said that he had been but had been taken off. After several conflicting comments on the young Saudi, and first completely denying knowledge of his existence Janet Napolitano finally admitted that he had in fact briefly been on a terror watch list but “taken off”. Finally, sources disturbed by what was going on produced to certain members of the (not the mainstream) media, the cover of the original event file. Most shockingly, the suspect as seen above has a “prior event” #1648067 (we do not know for what exactly. There are even more strange details about this story, but understandably enough many on the right and GOP side (as well as simply good Americans) were enraged by this series of events and were pushed to believe what some good logic tells us here – the Obama administration has actively lied to the American people about this individual, in effect attempted at least a “mini-cover-up” and we are left wondering what really went one. The left characteristically not only ignored this story, but called anyone pursuing it a nutcase. Glenn Beck took a lot of heat for following it with great enthusiasm. None on the left could point to any real evidence why it was wrong to pursue this story, nor any evidence proving that the Obama administration had not consistently lied, but that of course is never important. They did not even provide a reasonable alternative story that at least suggests that Obama did not release a terrorist with blood on his hands to his Saudi paymasters, at best to secure America’s oil supply in case Iran cuts them off (where in such a case Saudi Arabia has promised to make up the shortfall to avoid skyrocketing oil prices) and at worse… well much much worse. But worry not leftist, today I will do it for you. There indeed was an inept coverup here, and plenty of lying on the part of Obama and his administration. But where Mr. Beck and other American patriots went wrong is to project the images in their head too far into reality. Americans, right and left, actually understand little the Arab world, for lack of contact with it, and due to its completely different perspective on the world, but what they should know better… is a liberal! Young Rahman al-Harbi, was simply, like Janet Napolitano stutters on her awkward video, “when you back it up…. at the wrong place at the wrong time”. Abdul Rahman al-Harbi was simply an Arab and a Saudi national at the scene of a terrorist attack. US law enforcement authorities under the post-racial, anti profiling all knowing all caring messianic Barak H Obama administration had jumped all over him (as they should have). The first prods produced results, he had a previous event file, should not have been let into the country, but was not vetted on an exemption, quite likely he did have a jihadist perspective and background (something gave him the 212 3B designation!) like many prominent Saudis, but had nothing to do with the bombings. Carried on by the first seemingly fitting pieces of evidence, as it later unraveled, suddenly the administration was left holding a young Saudi (and a wounded bombing victim himself at that!) student simply because he was an Arab. The politically correct administration, trying desperate to find out that this attack had not been perpetrated by Muslims found itself having committed gross racial profiling. What followed with the Saudis is easy to imagine, they too wanted to save face, and rather than protesting about racism and the arrest, a bout of high level damage control meetings is what followed. Since apparently some damaging information had been found about the young man, and he really was not eligible for a US student visa, both parties agreed to not make a big fuss and “understand” that it was a misunderstanding. The Saudis had no interest in showing that one their citizens, especially one close to the royal family, had anything to do with the bombings or terrorism in general, while the administration desperately wanted to show that it had not acted against the Saudi due to his ethnicity. If Glenn Beck, had thought about his typical liberal opponent that he knows so well, he would have realized Obama did not release a suspect in THIS bombing, but simply was terrified to look like a racist and infuriate the Muslim world. Remember that most of this occurred before the Tsarnaev brothers were identified and themselves known to be Muslim. The Obama administration now hoped and thought likely, that the bombings had been homegrown (and Christian), and was embarrassed to have arrested and interrogated a Muslim. Rahman for his part, played right along. He later re-emerged somewhere in Arabic media being quoted as very nonchalant… admitting that he had been questioned for a long time and his apartment searched, but that this was all very normal since he had been at the scene of the bombings. The ironic insinuation being that all wounded victims of the bombings (or worse, anyone present?) has been interrogated for 9 hours and had their apartment searched by Federal Agents. Rahman, on his own or by family and Saudi orders, decided it was the wiser not to be charged with other unrelated charges, be deported and play along. This also explains the back and forth about whether he was going to be deported or not, because it is quite possible that at first the Saudis even attempted to strike a deal where he would be left alone to continue his studies in the US. Obama’s big pathetic and inept coverup, is one of frantically hiding the administration’s own (logical) prejudices when conducting the early investigation. At the Lighthouse, we take the right-wing to task just as easily as we do the left when they are wrong; it simply happens less often! Particularly disturbing, was the right leaning pundits spreading misinformation about Rahman and this incident. If the right loses the very fact that it IS right, (pun intended), then it is no different than the left. Rahman was quoted by many as having visited the White House numerous times (compounding similar Arabic names on the roster together) and listing many members of his family as known terrorists. This is intentionally misleading… an Arab “family” is not the same as our Western concept of it, and more closely resembles our notion of a tribe or clan. With the briefest look at these lists, it is obvious that all these individuals have a name that end with “Al-Harbi”. This again is a tribal indication. The Al-Harbi tribe is one of the biggest in Saudi Arabia and in the Arab world. It is estimated to have 4 million members in Saudi Arabia alone (some “family”), with many others in neighboring Arab countries. There are even many Harb Arab Christians in Ramallah (in the West Bank). They also figure prominently in T.E. Lawrence’s (Lawrence of Arabia) Seven Pillars of Wisdom. So to deduce anything based on his name and those of these known terrorists alone does little other than point what is already well known, most terrorists are Muslims, many are Saudis. Hence out of the many Saudi terrorists, some are al-Harbis, since at least 4 million Saudis are al-Harbis. So with little doubt, and quite clear, we have here that the government did not believe to have proven that he necessarily already engaged in terrorist activity, but that specifically the Attorney General or the Secretary of Homeland Security (Janet Napolitano who first claimed she did not even know who Rahman was) believes that he has engaged or is likely to engage in terrorism after entry. So though most commentators misunderstood this event file, this is a designation that is given to people (usually) PRIOR to entry into the US. It simply is one of many reasons why an individual would be denied entry and denied a Visa. Abdul Rahman, apparently got a student Visa and into the US despite of this designation due to a VIP request coming from the Saudi Royal Family. This is what all the allegations of “not vetted” refer to. Even if this event file was created after he was already in the US because the clumsy administration at first thought he was involved with the bombing, the event file still cites a PREVIOUS event file, so in any case this individual should not have been allowed in the county. And thus you see the whole circle of ineptitude the Obama needed to hide. The Saudis used their powerful influence to get one of their citizens a student Visa without proper vetting, which would have indicated at least terrorist inclinations. At this point, we do not if he was simply like many young Saudis, radical and a big talker, or he was actually up to no good. This remains a critical lingering question. To make matters worse, the Obama administration (or law enforcement on the ground better said) jumped on him the moment there was a terror attack simply because he was an Arab. The two countries, agreed it was better to unwind and hide this embarrassing situation and so they attempted to do so. Glen Beck definitely was onto something, but not that the mastermind of the bombings had been maliciously released by Obama or something of that nature, but rather another example of the Obama’s administration endless capacity to attempt to appease the Arab “street” (not to mention their own self-righteous liberal guilt) – while the street, like the immigrants exposed to the same leftism, continue to grow in contempt and burn American flags.